His life unfolds with adventure, humor, and roller-coaster suspense. He’s the “most likable creation” (The New York Times) of “one of the master storytellers of this or any age” (The Tampa Tribune). And he’s got one hell of a hidden talent. If you don’t know his name by now, you’re the odd one out. Now get all caught up with the first four novels of Dean Koontz’s beloved series—Odd Thomas, Forever Odd, Brother Odd, and Odd Hours—in an eBook bundle that will keep you up all night. The dead don’t talk. I don’t know why. But they do try to communicate, with a short-order cook in a small desert town serving as their reluctant confidant. Meet Odd Thomas, the unassuming young hero of Dean Koontz’s dazzling New York Times bestsellers, a gallant sentinel at the crossroads of life and death. Sometimes the silent souls who seek out Odd want justice. Occasionally their otherworldly tips help him prevent a crime. But this time it’s different. A stranger comes to Pico Mundo, accompanied by a horde of hyena-like shades who herald an imminent catastrophe. Aided by his soul mate, Stormy Llewellyn, and an unlikely community of allies that includes the King of Rock ’n’ Roll, Odd will race against time to thwart the gathering evil, as past and present, fate and destiny, converge. I see dead people. But then, by God, I do something about it. 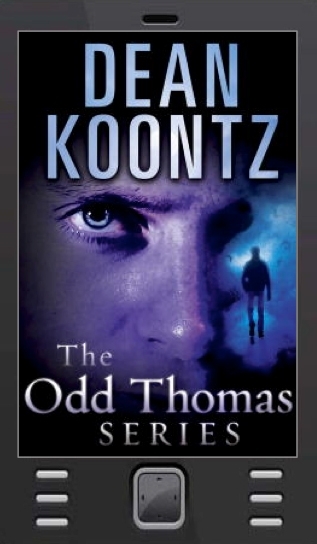 Odd Thomas never asked for his special ability. Yet he feels an obligation to do right by his otherworldly confidants, and that’s why he’s won hearts on both sides of the divide between life and death. But when a childhood friend disappears, Odd discovers something worse than a dead body and embarks on a heart-stopping battle of will and wits with an enemy of exceptional cunning. In the hours to come there can be no innocent bystanders, and every sacrifice can tip the balance between despair and hope. Loop me in, odd one. The words, spoken in the deep of night by a sleeping child, chill the young man watching over her. For this was a favorite phrase of Stormy Llewellyn, his lost love. In the haunted halls of the isolated monastery where he had sought peace, Odd Thomas is stalking spirits of an infinitely darker nature. 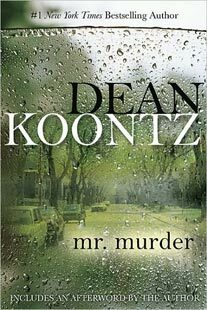 Now, wielding all the power and magic of a master storyteller at the pinnacle of his craft, Dean Koontz follows Odd into a singular new world where he hopes to make a fresh beginning—but where he will meet an adversary as old and inexorable as time itself. Only a handful of fictional characters are recognized by first name alone. 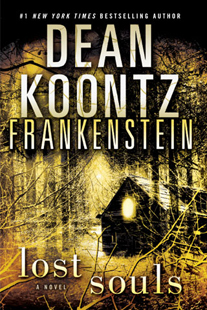 Dean Koontz’s Odd Thomas is one such literary hero, who has come alive in readers’ imaginations as he explores the greatest mysteries of this world and the next with his inimitable wit, heart, and quiet gallantry. 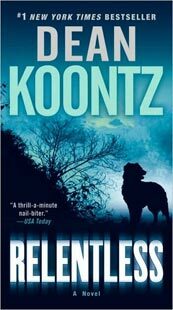 Now Koontz follows Odd as he is drawn onward, to a destiny he cannot imagine. Haunted by dreams of an all-encompassing red tide, Odd is pulled inexorably to the sea, to a small California coastal town where nothing is as it seems. Contains a preview of the next thrilling addition to the Odd Thomas series, Odd Apocalypse!